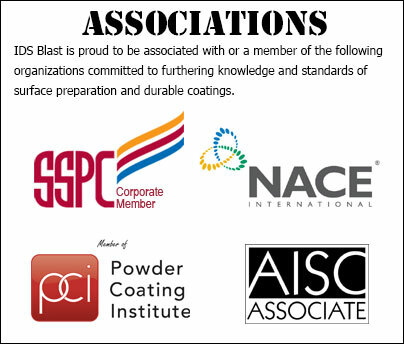 IDS Blast & Paint has been in the abrasive blasting business since 1991 and we have mastered the techniques necessary to provide superior abrasive blasting, painting & powder coating services. 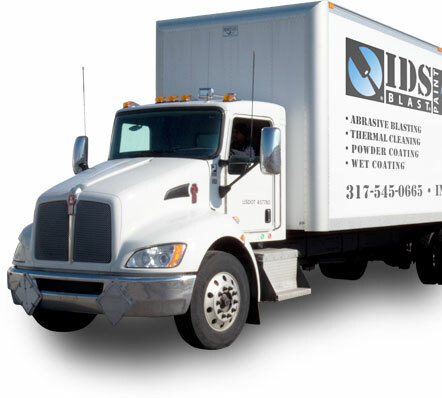 We perform all of our services in our state-of-the art facility located in central Indiana. From single large objects to high volumes of smaller parts, we have the resources and project management experience to complete your project with excellent results, outstanding value, and on-time delivery. All services are performed by trained personnel in our large environmentally controlled facility featuring proper dust collection and disposal procedures. 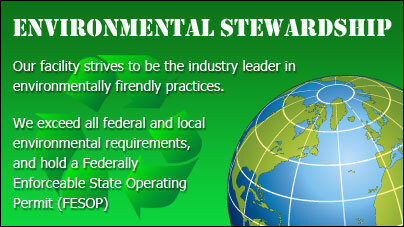 We provide services to both large corporations and individuals. Click on the links below to learn more about the different services we provide. Our 40,000 sq. ft dedicated blasting and coating facility is located in Indianapolis, Indiana. Having our blasting and coating services located at the same facility means we can quickly coat unprotected surfaces before flash rust or contamination can begin. Call us to schedule a visit and allow us to demonstrate what we can do to meet all your blasting and coating needs. The blasting side of our operation. The wet painting and powder coating side of our operation. IDS Blast & Paint can easily handle items as heavy as 20,000 lbs in house and can provide special heavy weight handling upon request. Large batches of small parts are never a problem either. Between our overhead cranes, forklift fleet, loading docs, work carts and yard spotter, we handle it all. And with ample indoor and outdoor storage space, we have room for your project. 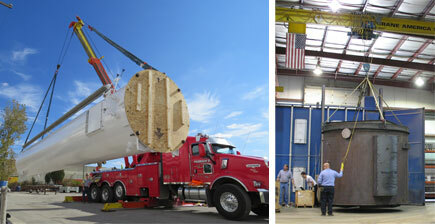 See how we use this versatile piece of equipment to streamline our operation. We view our relationship with you as a partnership in your success. Whatever your project needs are, IDS Blast & Paint can provide a full service solution. We can move beyond our core services (like cleaning, deburring, finishing, painting, powder coating, or surface preparation) to any of our value-added services, including welding, repairing, applying rust inhibitors, warehousing, and more. We have extensive experience in sourcing vendors for galvanizing, passivation, liquid penetrant testing after coating removal and much more. Make one phone call and let IDS Blast & Paint be your one stop shop. OR CALL 317-545-0665 TO SPEAK TO A JOB SHOP REP.